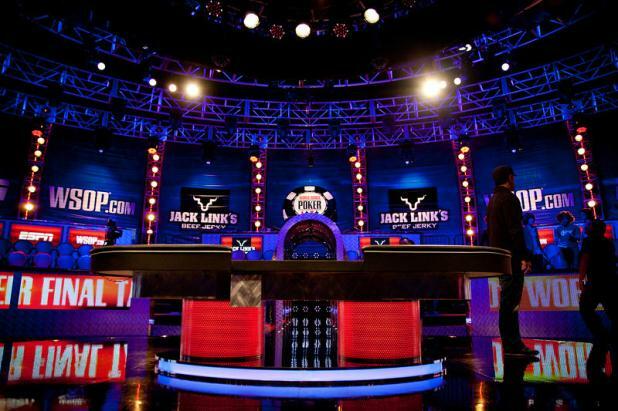 The 2011 World Series of Poker Main Event Final Table awaits the November Nine. Matt Giannetti (right) can't watch as the river card is dealt when he is all in. He would survive the last card and double up.